Getting your message out while avoiding trouble. This primer shows your staff the purpose, structure and regulation of 527s, a type of non-profit political organization. Also see our Capitol Hill Day / National Advocacy Day program. 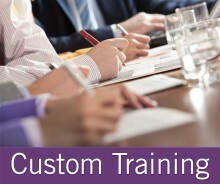 How they differ from "leadership PACS"
All custom training is tailored for each organization and audience. Topics from this program are frequently combined with topics from our other programs and can also be combined with topics from your existing training programs. Sample agendas of different versions of custom advocacy programs tailored for previous custom clients are available in Adobe PDF. Audience Level This program will benefit any team that wants to become more knowledgeable about 527s. Course Materials Course materials are included. Our faculty, Hill veterans all, have extensive experience with PACs and 527s.